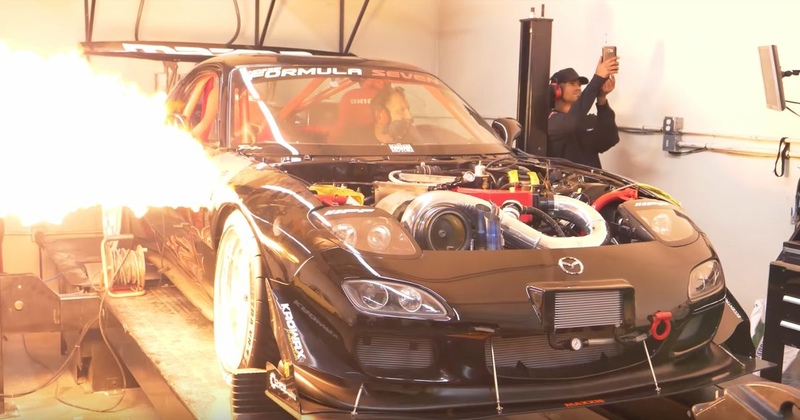 We’ve covered Rob Dahm’s astonishing three-rotor Mazda RX-7 a few times before, but the man’s latest video focuses on someone else’s FD. And we just can’t get enough of the noise it makes. David Mazzei’s RX-7 is powered by a custom-built four-rotor engine, and a big driving force behind the project is the urge to recreate the sound of the legendary Mazda 787B prototype racer. The first and only rotary-powered car to win the 24 Hours of Le Mans emits an addictive shriek we’re unlikely to hear in the motorsport world ever again, and this FD is deliciously close to replicating that soundtrack. Unlike the naturally-aspirated 787 engines, Mazzei’s four-rotor is fed by a GTX5533R 98mm Garrett turbocharger. Inevitably, then, there are plenty of whistles and chattering you wouldn’t have heard from the 787, but all those turbo noises merely add drama to the wail of the four-rotor. Recommended car throttle shop Worldwide Shipping In The CT Shop Car Throttle Submit Your Videos To Get Featured On Our Social Channels Tuning Mopar Has Just Unleashed A 1000bhp 'Hellephant' Crate Engine Tuning You Can't Help But Love A Fiat Cinquecento With A 1400cc Superbike Engine Tuning Are We All Using The Term ‘Shock Absorbers’ Wrong? Tuning Dodge Challenger Redeye Tuned Beyond 1000bhp By Hennessey Tuning Hennessey Will Crank Your McLaren 600LT Up To 1001bhp Tuning What Is Wheel Offset, And Why Is It Important To Consider? 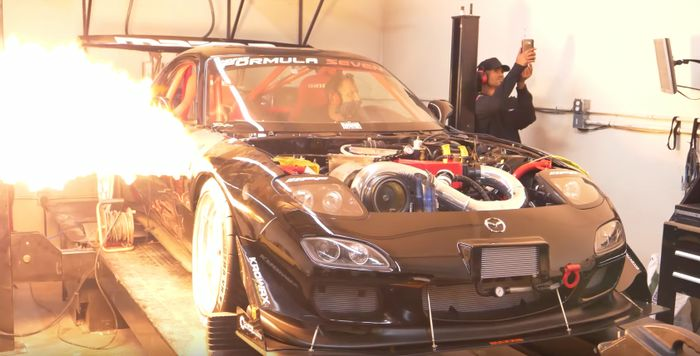 Tuning The 1200bhp ‘White Snake’ Dodge Viper Just Became A Fireball Tuning Can A Lightly Tweaked E36 BMW 328i Out-Drag A Hyundai i30 N?